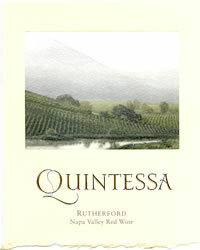 In the epicenter of Rutherford, Napa Valley, cradled amongst five hills and adorned by a crystal lake, lies Quintessa. We believe the best way to truly experience this stunning and distinctive property is through privately hosted experiences that are customized for each guest. Reservations for these experiences are available to visitors by appointment only between 10am and 4pm daily. Quintessa's visitor experience includes vineyard, winery and cave tours and a seated, intimate private guided tasting of several vintages paired with local artisan cheeses with a knowledgeable visitor host. The breathtaking vineyard views and relaxed, quiet atmosphere make it a memorable experience. View from Tasting Room: Estate vineyard views from private terrace overlooking 280-acre property. Wine Education: Winemaking, vineyard and farming practices discussed in private tour and tasting. Food Available: Pairings with artisan cheeses and local chef offerings with every tasting.